As you get older, it gets harder to find long-lasting friends. Forget pandas. Close friends are the real endangered species these days. That’s a painful thing. And I don’t mean “sad-painful.” I mean “broken-arm-painful.” At least that’s how your brain sees it. Your grey matter experiences social pain the exact same way it does physical pain. So much so that Tylenol actually relieves feelings of rejection. The overlap of neuroanatomical processes involved in physical and social pain highlights the conservation of preexisting structures for later-evolving functions. The cingulate becomes activated when we, or those we love, experience physical pain as well as when we experience social exclusion (Davis et al., 1997; Koyama et al., 1998; Lenz et al., 1998; Panksepp, 2003b). The common underlying neurobiology of physical and social pain may help us to understand why the quality of our relationships has such a profound effect on our physical health (Robles & Kiecolt-Glaser, 2003). It also helps to explain why painkillers such as acetaminophen decrease anterior cingulate activation as well as the negative emotional impact of social rejection (Petrovic et al., 2002; DeWall et al., 2010). A hospital noticed that a lot of child patients were dying. So they limited the tykes contact with others to protect the kids from catching anything. And the result was more children dying. When the kids were given extra social contact, that’s when the situation improved. Sometimes a lack of affection can be worse than the danger of infection. In response to a high number of deaths, physicians attempted to keep the children safe from infectious diseases by separating them from one another and ordering that their handling be kept to a minimum. Yet they still died at such alarming rates that admission forms and death certificates were signed at intake for the sake of efficiency. It was not until the children were held, rocked, and allowed to interact with one another that their survival rate improved (Blum, 2002). We need relationships. Critically. We are social animals at our core. But in the modern era we often don’t act like it. And we don’t get clear answers on how to improve the situation. In many cases we make mistakes that prevent us from really connecting with others and end up with lukewarm friendships but no idea how to deepen them. Time to fix that. Logistic regressions offered 3-point estimates: 94 hr when acquaintances become casual friends, 164 hr when casual friends become friends, and 219 hr when friends become good/best friends. These numbers are likely conservative estimates due to the inclusion of both closed system and chosen relationships and due to the retrospective nature of the study. With numbers like that, it’s amazing we have any friends at all. But the reason it takes that long is because we’re doing friendship wrong. We’re all scared and worried and it takes us a long time to really open up. But what if you suddenly became fearless? Could you make a close friend in less than 219 hours? Yeah. You could do it in 45 minutes. On a scale of 1 to 7, hundreds of volunteers rated their “deepest” relationship as a 4.65 for closeness. After talking about their answers to personal questions for forty-five minutes, random pairs rated their closeness as 3.82 – not all that much lower. It’s called “reciprocal disclosure.” Arthur Aron created bonds between people that could last a lifetime with just 36 questions. The results were so powerful two study subjects subsequently got married. I can hear people screaming right now: JUST GIMME THE QUESTIONS! GIMME THE QUESTIONS! GIMME! Fine, fine. They’re here. But that’s not the point. Those questions aren’t magical. Everybody always says we need to listen, listen, listen to improve relationships. And there’s a reason for that: most of us are horrible listeners. But it’s still only half the battle. Nobody ever made a good friend by interrogating people or turning a friendly meeting into a job interview. We need to ask deep questions. And give our own deep responses. You gotta get personal. And then you need to escalate it and go deeper and get more personal. Hopes, dreams, feelings, regrets, memories. Notably, small talk predicted a reduction in friendship closeness from 6 weeks to 9 weeks. That is, friendships engaging in small talk become less close over time. These findings add another element to Dunbar’s (1996) assertion that time is a constraint to friendship development; namely, what people do with their time together uniquely explains the development of friendship closeness. You gotta ask tough questions and give serious answers. It’s “Truth or Dare” — with no dares. If you feel uncomfortable, you’re doing it right. And it makes most of us feel very uncomfortable. And that’s why we need 219 hours to finally get around to it. I know, you’re scared of being judged. Don’t be. You want to be judged. How close can you feel to people who don’t understand you at all? Studies show when we’re judgeable we’re happier and live more authentic lives. Research consistently shows that people who are more judgeable are psychologically better adjusted—they are happier; are more satisfied with their personal and professional lives; have more lasting, positive relationships; and have a greater sense of purpose. They feel able to live more authentically and are more confident in their self-knowledge. This makes a lot of sense. If people are seeing you the way you see yourself, then you aren’t getting all the unsettling, self-doubt-inducing feedback that the chronically misunderstood have to endure. Life is simply easier and more rewarding when people “get you” and provide you with the opportunities and support that are a good fit for you. By the way, when I walk through the automatic doors at the grocery store sometimes I pretend I’m opening them using The Force — just like I did when I was 8. Vulnerable me does silly things. Judge away. Open up. Be vulnerable. Don’t be afraid. Unless you have thousands of hours to spare. Alright, you’re putting yourself out there. 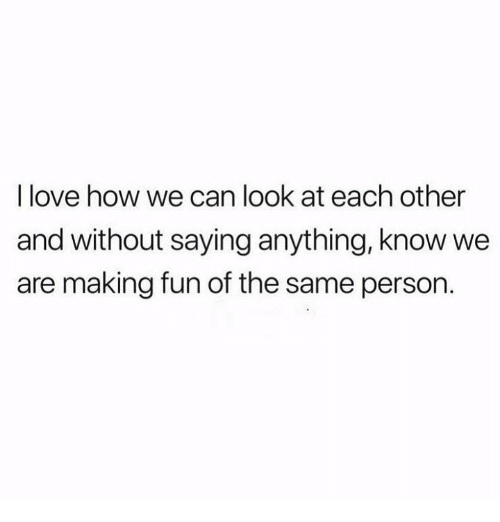 And that’s something that can help everyone improve their friendships. But what is a strategy tailored for you that will take your friendships to the next level? We all do little things to not feel exposed and vulnerable. They’re called “safety behaviors.” And in protecting us they also make it more difficult to connect with others. Maybe you avoid eye contact. Maybe you brag to impress. Maybe you never compliment people or never initiate a conversation to avoid feeling stupid or rejected. You know which ones you’re guilty of. When surveyed 92% of people could immediately identify which safety behaviors they engage in. Now take a deep breath and before your next social interaction, test what happens when you don’t do them. This has been shown to reduce anxiety and make people much more likable. First, participants who dropped their safety behaviors looked less anxious. Indeed, when they stopped trying to conceal, rather than all that unconcealed anxiety spilling out, they looked more comfortable. Next, when Alden and Taylor asked the confederates about their experience, guess whom they enjoyed talking to more? The group who dropped their safety behaviors. Who would they like to spend more time with? Ditto. Who did they want as a friend? You guessed it… Once all the bandwidth used for rehearsing sentences or managing their appearance was freed up, authentic friendliness— the good stuff— naturally filled in the gaps. Without your safety behaviors, you’re not watered down. You’re more authentic. Indeed, when we use safety behaviors we know we’re coming off as fake. We know it’s not our true self that we’re presenting to the world— instead, it’s a filtered, highly managed version. Safety behaviors are designed to hide your true self, the one your Inner Critic says is flawed. But instead, safety behaviors keep us stuck in the idea that we’re unlikable or deficient. We never get the chance to prove those ideas wrong. Ironically, when the study participants stopped trying to save themselves they could be themselves. It’s the Director’s Cut version of you — the way you were meant to be seen. You’ll not only connect better with others but you’ll also feel better about yourself. You’re no longer playing it safe. But why is it that sometimes you just can’t seem to get into the right frame of mind to relate to other people? Use Your Brain… No, Your Other Brain. Neuroscientist Matthew Lieberman found that there are two separate networks in your brain: one very social, one much more analytical. And when one is working hard, the other slows down. Ever come home from a long day and feel like your brain is still in “work mode”? Like you need to decompress and shift gears? Yeah, that. Some people default to the the social system, others to the analytical. And occasionally we all need to be reminded to flip that social switch. Time with friends is not a problem to be solved. Lieberman’s lab and others have found that people have two separate brain networks, one for nonsocial problems and another for social problems… Whether it’s making sense of another person’s intent or deciphering someone else’s emotional state, awkward people tend to show less activity in social brain networks and they sometimes show hyperactivity in networks that are typically associated with book smarts. These findings suggest that awkward people may not intuitively see social patterns or infer broad meaning, but instead have to assemble social information as if they are solving an equation. Often, a reminder is all we need to tell the analytical side to power down a bit and to focus on social cues rather than treating a friendly gathering like a logic problem. Studies that look at what happens when people have nothing to think about or let their minds wander show that non-awkward people tend to keep their social brain running at all times, even when there is no social activity. By comparison, awkward people do not seem to keep their social brain running at all times and might need to be reminded to turn the ignition on for their social brain. You’re making yourself vulnerable, you’re not playing it safe and you’re using friendly-brain and not Spock-brain. All good advice. But what’s some bad advice we’ve all been given that we should ignore if we’re not connecting with people the way we’d like? Play a part. Not full-on acting but let yourself inhabit a role. Give yourself a structure to perform in, a goal for the interaction. This reduces social anxiety. Indeed, a classic study by Australian researchers Drs. Simon Thompson and Ron Rapee showed that changing a social situation from unstructured, with ambiguous roles and rules, to structured, with defined roles and goals, results in an astonishing difference in the performance of folks prone to social anxiety. Researchers told subjects to “pretend they were at a party and needed to get to know the other person in only 5 minutes.” And their anxiety melted. In the unstructured interactions in the waiting room, the women with social anxiety scored, predictably, quite a bit worse than the non-anxious women, who chatted with the confederate without a second thought. But after the structure was added, the whole game changed. Once the socially anxious women had an assignment to fulfill, the gap in the assessor’s ratings of social competence narrowed dramatically, with the two groups nearly neck and neck. Turns out the socially anxious women had considerable social skills; they just needed some structure on which to hang them. Yeah, I know: some people think this is fake. Phony. You’re not being the real you. Wrong. You can be an inconsistent, unpredictable mess at times. We all can. We’re affected by moods and context. We have bad days. We feel nervous and act weird. Is that the real you? You’re not pretending to be someone you’re not; you’re giving yourself a structure and a goal to keep you in bounds and less affected by the vagaries of the day. That’s more like the “real” you. Giving yourself some structure by playing a role you choose allows you to build up and reinforce the real you. So what’s a good role to play to deepen a relationship? How about “student”? Wharton professor Adam Grant points to research showing advice-seeking is a great way to connect with others. You gave them an honest compliment and made them feel like an expert. You were vulnerable — you asked for help. Now you have a topic to discuss and maybe a reason to go to the gym together. Put the “Ow!” In Hours: 219 hours is a lot of time to make a close friend and small talk kills relationships. Be vulnerable. And use The Force when entering Rite Aid. Practice Un-Safe Socializing: I’m not writing anything here. You guys talk amongst yourselves. I don’t want to look stupid. Use Your Brain… No, Your Other Brain: Remind yourself to use the social part of your brain. Leave the people analyzing to me. Don’t Be Yourself: You can be inconsistent and moody. That’s not the “real” you. Give yourself a role and a goal to make you more like you. Nerds and nice folks, rejoice! The cool kids do not win at life. Developmental psychologists know that “popular” and “likable” are two different things. First one has to do with power. The latter is what makes you loved and happy. Both popular and likable people tend to be socially fluent, but people motivated by popularity use their mind-reading skills to boost their social status or protect their position in the social hierarchy. Conversely, likable people are more likely to use their mind-reading skills to ensure that they act in fair and collaborative ways. Put differently, people driven by popularity approach situations thinking, “What’s in it for me?” whereas likable people are thinking, “What can I do to contribute?” People who are motivated by popularity tend to focus on short-term social gains, but these grabs for power come at the cost of burning social capital. They are more likely to use tactics that erode social capital such as manipulation, gossip, and degrading others for personal gain. Although likable people may not always win the contest for having the most Instagram followers or win the nomination for homecoming king or queen, they are more likely to be happy, have higher self-esteem, and find more reliable friendships. Being cooperative and pleasant is what leads to good friendships long after graduation. Trying to be popular — striving for power in relationships — has correlations with addiction, loneliness, and depression. One study examined more than ten thousand Swedish youth and then followed them over the next thirty to forty years. The children’s likability was measured at the age of thirteen along with a host of possible factors that could explain both their likability and later outcomes. Researchers measured each subject’s IQ, aggressive and disruptive behavior, history of physical and mental illness, parents’ level of education and income, and even the child’s future goals. After accounting for all of these possible influences on adult outcomes, it was likability that predicted happiness, employment, and income decades later. Being likable is what predicted happiness and income in adulthood. You don’t need to worry about being cool anymore. High school is over. Now go hug your friends or I’m going to shove you into a locker.